Your partner's right hand attacks you to the centre of your head. 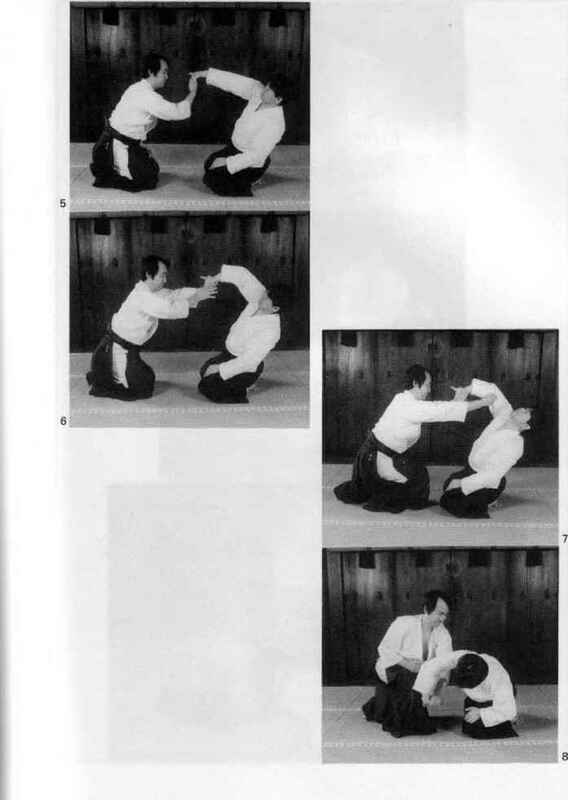 Using your right hand push straight towards him so as to deflect the blow. At the same time step into his rear side with your left foot. Your right hand should be on top of his right hand. Now cut down his right arm and catch his neck with your left hand. Step right around with your right foot bringing him in a circle outside you. Pull his head into your right shoulder and throw him down by bending his head backwards with your right arm.